Before you know it, it’ll be Tet again. The time of the year when shoppers all over Vietnam become obsessed with Tet specialities, Tet decorations and of course, Tet gifts. For Vietnamese, Tet is the opportunity to show love and respect to family, friends, and co-workers; meaning a well-timed gift is more than just a pleasantry, it’s a necessity! 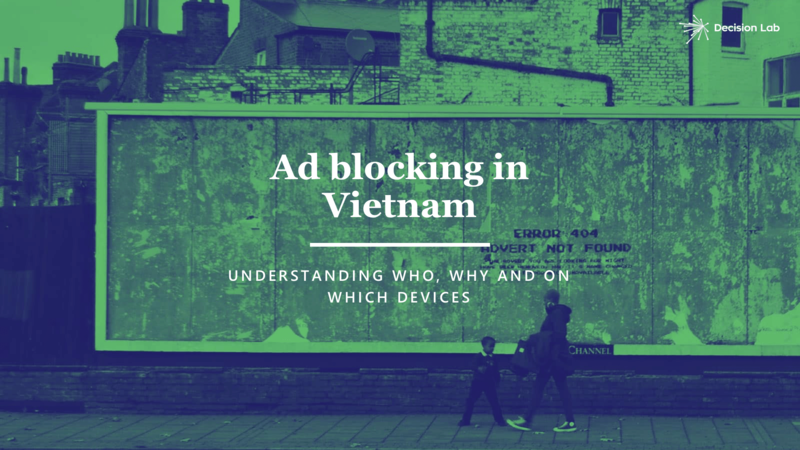 This has led experts to label the holiday, ‘Vietnam’s Superbowl of Gifting,’ when brands jostle for position on crowded Tet shelves everywhere. 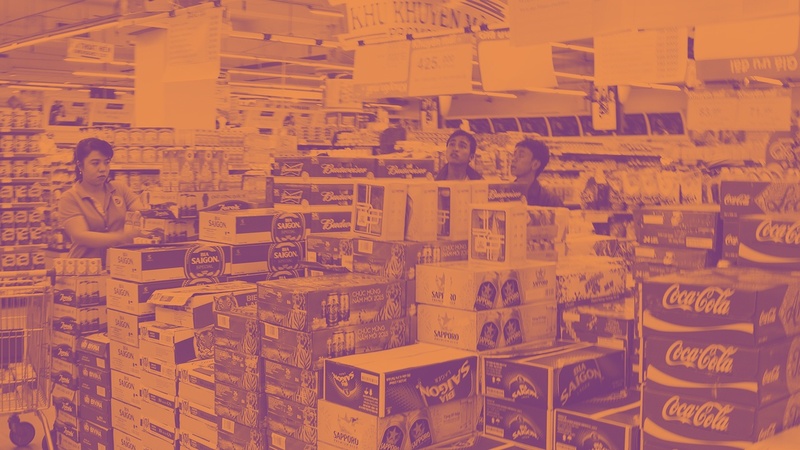 It’s in this retail space where the difference between being a ‘must-have’ or an ‘after-thought’ is winning what FMCG marketers call the ‘first moment of truth’ - when consumers are confronted by your brand at the point of sale and are forced to make a choice. In this situation, it’s obvious that packaging has a big say in whether your product converts from shelf to basket, so its’ importance cannot be underestimated. So, what makes a successful Tet pack? 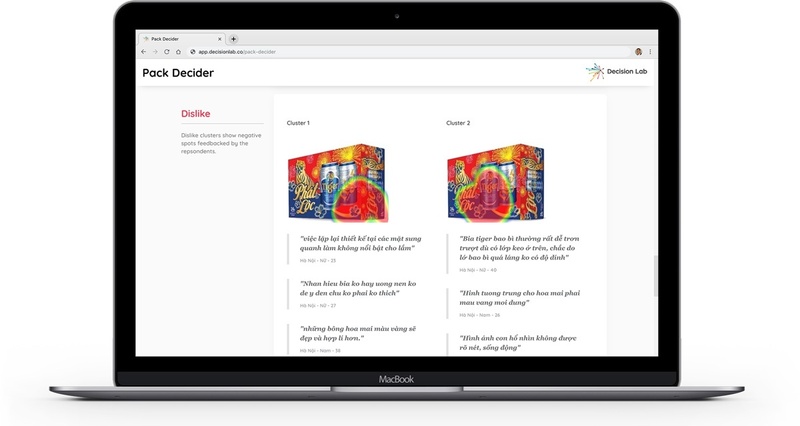 To help us find out we decided to run a test case using our Pack Decider product that surveyed 3 packaging executions from Tet 2018. One was Coca-Cola’s annual Tet can, the other was Orion’s Goute cookie gift box and the final one was last year’s Tiger Beer Tet carton. In the case of Goute’s cookies, rather than blend in with the traditional swaths of red and gold, they went with an alternative, slightly less traditional Tet design for its annual gift box. At the risk of alienating the brand, in reality what it produced was a more ‘outstanding’ product, and it’s rate of recall was the best of the three tested. 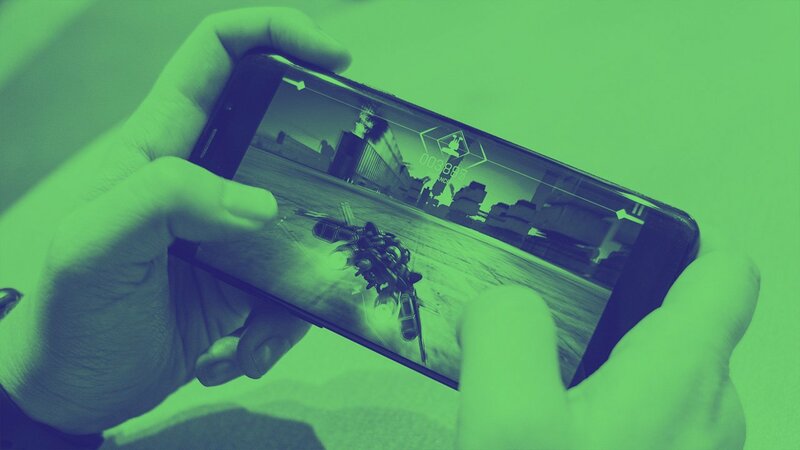 Of all those who responded to the mobile survey, 66% were able to recall or connect the new packaging to the Goute brand within 12.8 seconds of sighting it on their phones. By comparison, despite its heavy Tet livery, the promotional Tiger carton did not do as well, with only 24% able to identify a connection between the brand and the occasion of Tet. In addition, those that did make the connection took longer, at 14.4 seconds; crucial when you think of busy shoppers making last-minute decisions under time pressure. 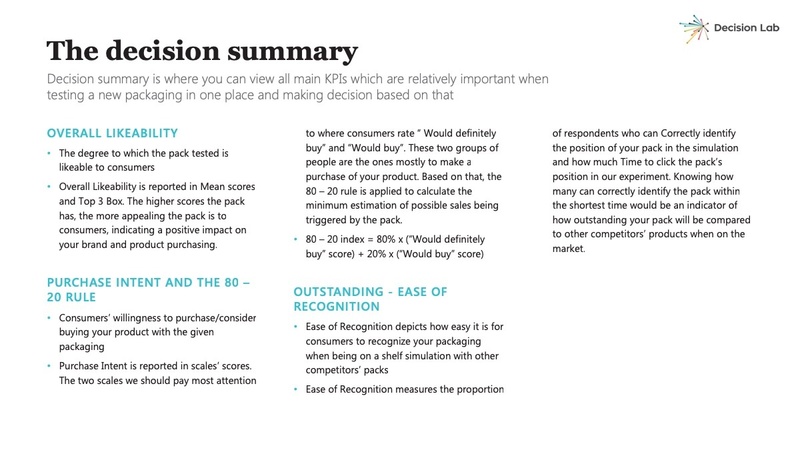 A summary of the ‘decision-making’ KPIs applied by the Pack Decider survey product. Because consumers only spend a few seconds browsing shelves, especially in product categories they are familiar with, outstanding packaging design effectively helps consumers ‘save time’ on their shop. As a result, those brands are rewarded with what appears to be an instinctive or ‘impulse’ purchase. Not only that, but barring any problem with the product inside the package, the purchase increases the likelihood that the same consumer will spend more time exploring products with the same or similar packaging in the future. 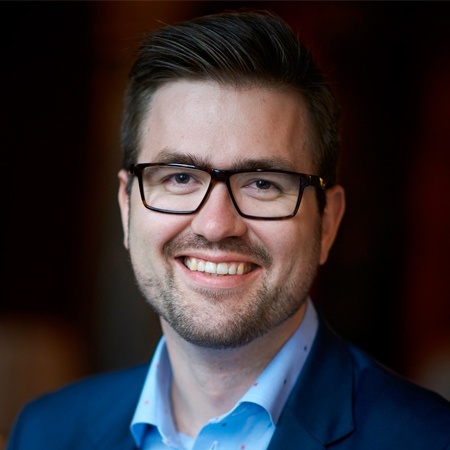 Brand owners know that because you have seconds of what you might call ‘face-time’ with consumers, the ‘outstandingness’ or ease of recognition metric is critical. Not only does it make the first purchase more likely from a crowded supermarket shelf, but the added ability to recall it quickly is likely to reinforce subsequent purchases. Far from being a pure ‘creative shootout’, staying relevant to the occasion and your brand is of vital importance. The funniest execution of an idea in the world means nothing if it bears no relevance to your product story or the occasion you are leveraging to promote it. The perception of a strong sense of relevance to an occasion can act as a powerful driver of overall brand consideration and increased purchase intent. 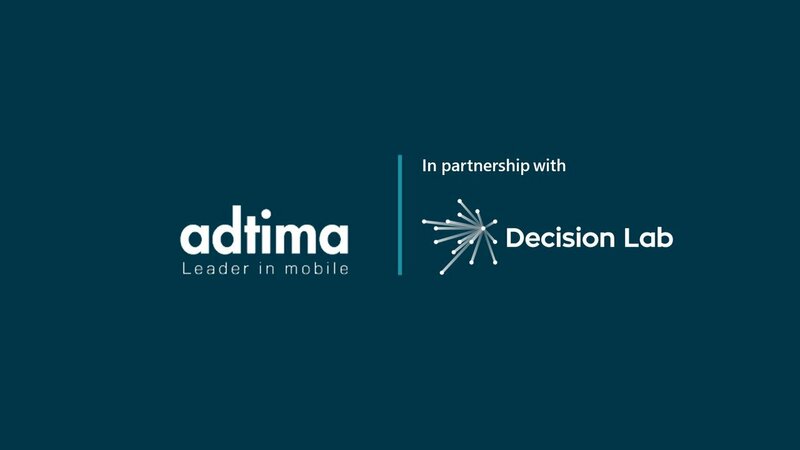 Decision Lab tests brand propositions contained within packaging in this way so that brand owners can assess the overall relevancy of their packaging design and its’ likelihood to engage consumers with their needs and emotions when faced with it at on a supermarket shelf. 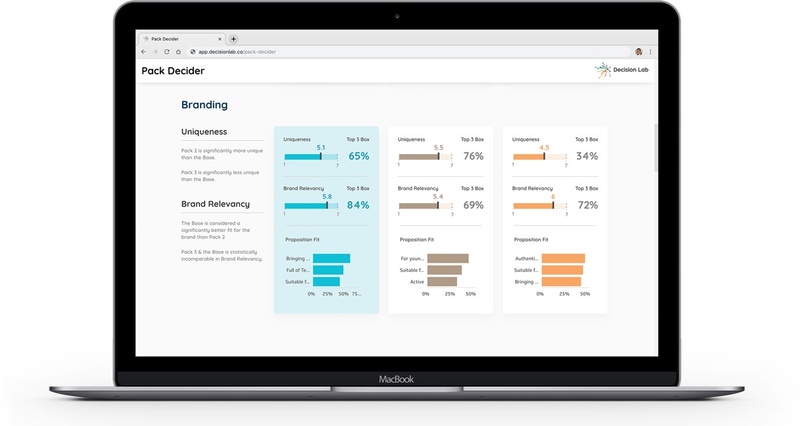 As a brand owner, you should always be listening to what your consumers have to say, and through our Pack Decider survey platform, you can. 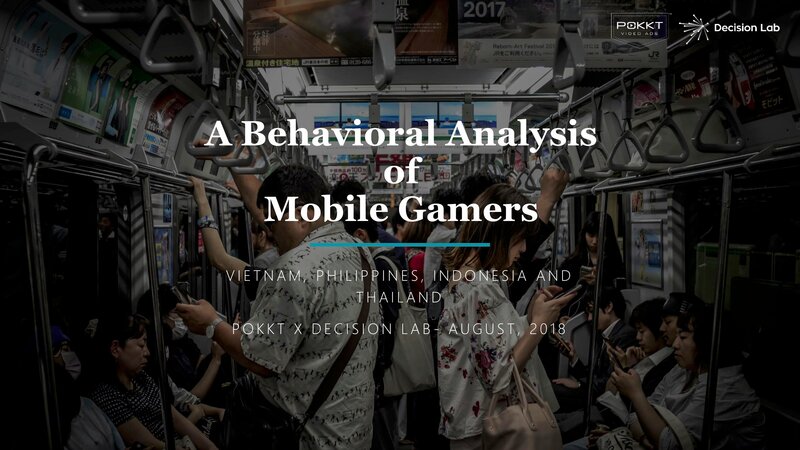 Feedback in real-time from the largest online community in Southeast Asia allows brands to tweak their packaging design not just in its creative execution, but also in its overall function. 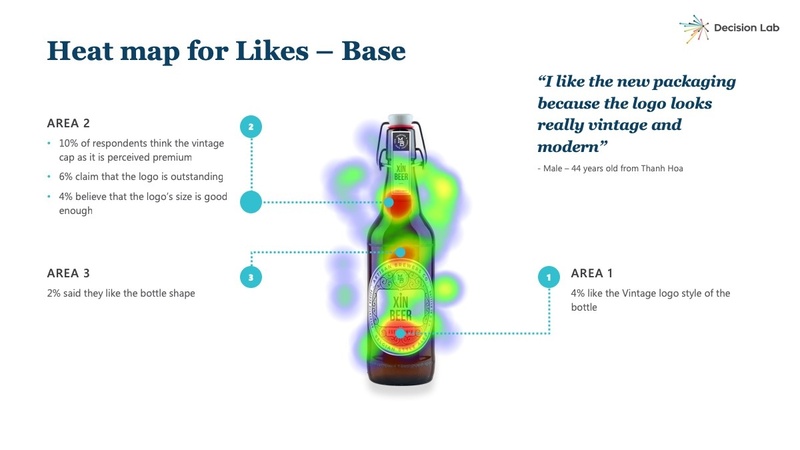 We use heat mapping software to show exactly what respondents do when asked to click on individual elements of your packaging design that they both ‘like’ and ‘dislike’. At the same time, they are able to input their verbatim comments to explain why. This produces a qualitative, living, working document from which to consider potential design improvements, and one that is delivered quickly. For example, with regard to the poor recall results of the Tiger Beer Tet carton used in our sample survey, one look at this type of detailed consumer feedback told us why it wasn’t received as well as the others. For the brands we work with, it’s these type of qualitative comments that validate our technology and methodology. 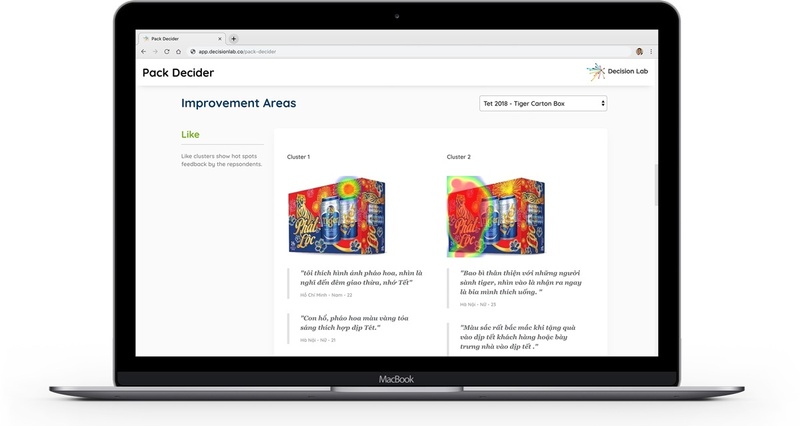 This combined with the ability to receive our quantitative survey results in real-time, on a live dashboard, give Pack Decider customers an edge when it comes to ensuring their packaging is performing as optimally as it can before it goes to market. Ease of recognition or ‘outstandingness’ increases the chances of your product converting from shelf to basket. This ‘outstandingness’ can be measured by identifying how many people correctly recalled your brand unprompted and how long it took them. It’s not a ‘creative shootout’. The best ideas fail if they are not relevant. Keep your packaging and your campaigns relevant to who you are and what you offer. Events like Tet are a leverage point from which to tell your story to as wide an audience as possible. Try to do this. 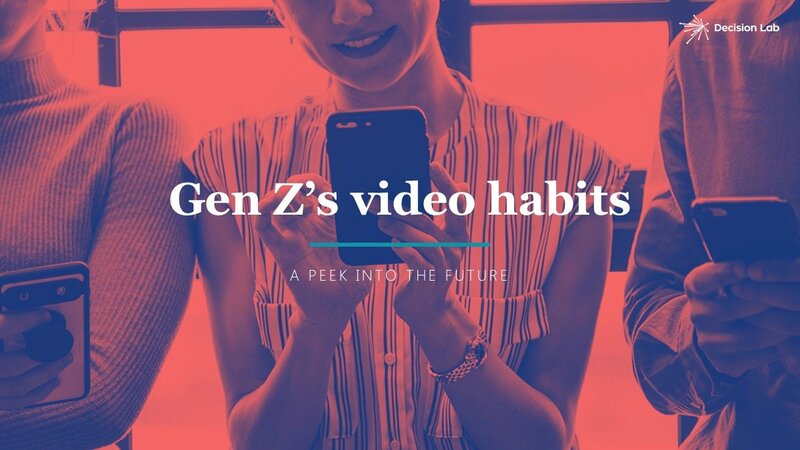 This will drive brand consideration and purchase intent as much as a gimmicky creative execution. Using feedback available to you from real consumers in the marketplace is invaluable. 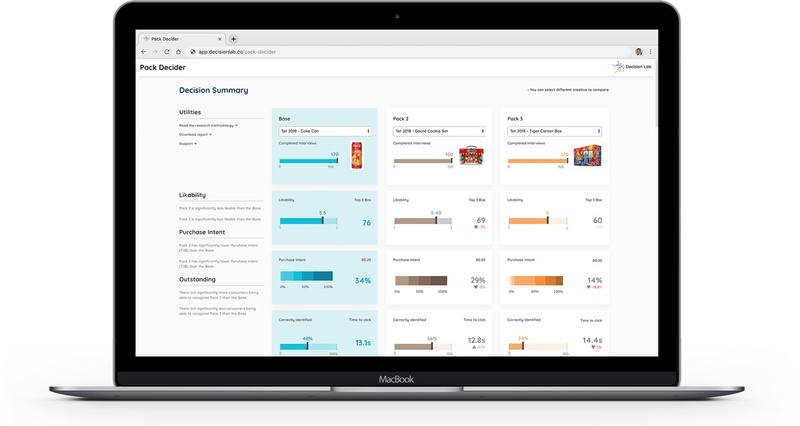 The real-time nature of the Pack Decider dashboard means you can react quickly to ensure your product offer is meeting the needs and emotional wants of your customers. If you’re about to launch a product into the Tet market this year, test your packaging and compare it with these three brands’ packaging performance today. Ask us for a free product demonstration.